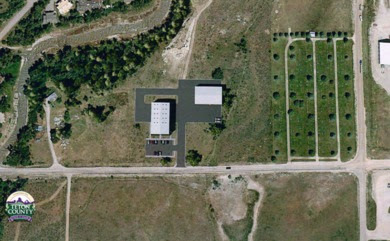 On Sept 12, the Driggs Planning & Zoning Commission (P&Z) heard Teton County’s request for a new 14,000SF road & bridge facility on Cemetery Road just east of Teton Creek. A third-party study of property value impacts to the surrounding neighborhood. A plan to improve Cemetery Road. The proposed site is located within the Teton Creek Corridor, a stretch of waterway that has been beleaguered by development from the past 20 years. 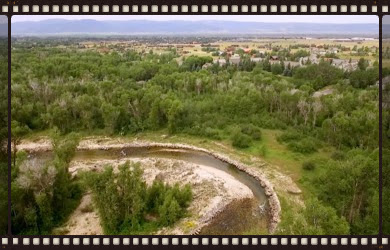 For years, folks have been trying to preserve the creek corridor, and this effort was catalyzed by the official launch of the Teton Creek Corridor Project, which is a multi-year effort involving our organization, Teton Valley Trails & Pathways, Friends of the Teton River, and the Teton Regional Land Trust. All of the additional information requestsed by P&Z may present an opportunity to explore a plan that could co-existing with the Teton Creek Corridor. The 6-acre site is located on a 30-acre parcel, and a carefully designed facility could enable conservation for most of the property. It may also allow for the construction of a trailhead for the proposed Teton Creek Corridor Project pathway. However, if the issues identified by the public and the P&Z can’t be fully addressed, then P&Z may end up recommending denial of the Conditional Use Permit. All project info is available here. Here is the link to our comment letter. The next hearing is scheduled for Wednesday evening, December 12th.